Remember the 1990s when the Internet and the Web was considered a toy and a fad at best? 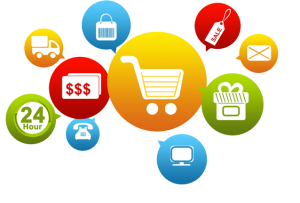 When e-commerce was very young, Amazon was loosing money on every order and the Internet itself was an adolescent complete with awkwardness and acne. investors threw money at anything that smelled like a tech startup. Including $300 million dollars at a sock puppet on a pet supply website. Super Bowl ads abounded! Dot Com? Here’s all my money! It was 1999 and the dot-com bubble was ready to pop. Those houses of cards began to collapse under the weight of appearance over substance. Even a young tse.net was approached by an investment group who laid out a plan to go public, take in a lot of investment money and then sell it off quickly to the highest bidder allowing me to walk away with a fat profit. I was stupid – as these brilliant investors told me – because I wanted to grow tse.net into the future and work it for the rest of my life. Some seek to climb mountains while others want to make paper dragons. Not long after that – the tech bubble burst. Even legitimate companies had a bad time as capital dried up from the bad taste of “get rich quick” frenzy feeders. Frenzy investors who one day lusted for business blood like a swarm of piranhas to become as a dog who put their nose into a porcupines’ personal space and ended with a nose full of barbs. Those legitimate tech businesses held on and stuck to their plan. In a fulfillment to Aesop’s story, the tortoise continued to plod along as the hare took a nap. A decade went by and those with a solid plan survived and thrived despite the speculators on both ends of the tech bubble. Today in 2015, there are those who are saying tech is in another bubble. Maybe they are basing their reasoning on business and social cycles that travel in 15 and 30 year cycles. The difference now is there are not the undisciplined frenzy of investors without prudence. Maybe a little of that frenzy exists – but the Internet has now achieved a level of substance it did not have 15 years ago. Even back then, real business thrived. However, TV personality, one time tech company captain and present sports guy, Mark Cuban says that right now we are into another tech bubble more terrible than the one in 2000. 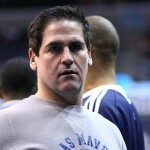 I happen to like Mark Cuban for who he is. He is obviously a smart guy who knew when to sell broadcast.com on the verge of the bust. Good for you Mark to get out of the kitchen when you felt a little heat. However, you are of the old 20th century mindset that caused the 2000 dot-com bust and your opinions are obsolete in this new century. Enter Marc Benioff – who at 15 years old in 1979 was creating and selling games and software for the Atari 800 computer. He is now CEO of a huge cloud computing company. Benioff says the opposite for good reason. He recently set things straight in an interview on CNN. Marc Benioff cites the success of companies such as AirBNB and Uber to prove his position. Things are very different now than fifteen years ago. The Internet is established and is a vehicle for those who are truly innovative and creative in serving a 21st century consumer. While there are sharks out there promising a sector with a misled mindset with “one click” solutions. Among their tricks is a promise of free websites that in reality cost more than honest hosting providers. The reality is there are great businesses being created based on substance and longevity. What works is never falling for sensationalism and aligning yourself with providers of rock solid foundations in business. Be nimble and smart. Gravitate towards other smart people and services that have proven to work. Build a team that works for you. 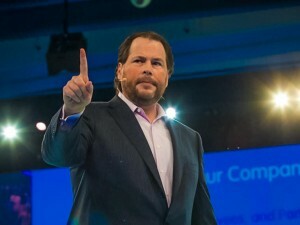 CLICK HERE to read the CNN article about Marc Benioff and what he has to say about tech today. Who is better to say what is real today? Someone who is an innovator in today’s tech or someone who has retired from tech into reality television? The answer is simple. At tse.net we have based our success on separating the fads from real trends. Our clients benefit from our decades of experience. Real 21st century business is alive and exciting! The dot-com bubble of fifteen years ago proves that people with investment capital are not necessarily the best experts when it comes to actually having the best ideas. Success comes from putting pieces of a puzzle together – not counting beans. Take a lesson from the publishing business. 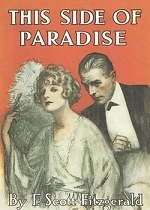 When F. Scott Fitzgerald was an unknown writer, his manuscript for “This Side Of Paradise” was rejected by well over 100 publishers before a publisher with a talent for recognizing quality (Scribners) offered a deal. The rest of this story is a classic in business history. What if Fitzgerald took NO for an answer? Imagine a world without his later great novel “The Great Gatsby”! At tse.net, we also had our own humble beginnings. However, we decided early on to gear our offerings toward serving client’s needs rather than attracting investors. Our view is for longevity in life’s work rather than walk away after an IPO. A vast number of today’s successful businesses began in spare bedrooms and garages. From Apple to the 39 million dollar company ASK Computer Systems. What are you using your spare bedroom for? Are you satisfied to take NO for an answer?